Create an app for us! Maggie's Wigs 4 Kids of Michigan would like to have our very own app! Who would like to be the creative genius willing to donate their time, talent & treasure to create one for us? 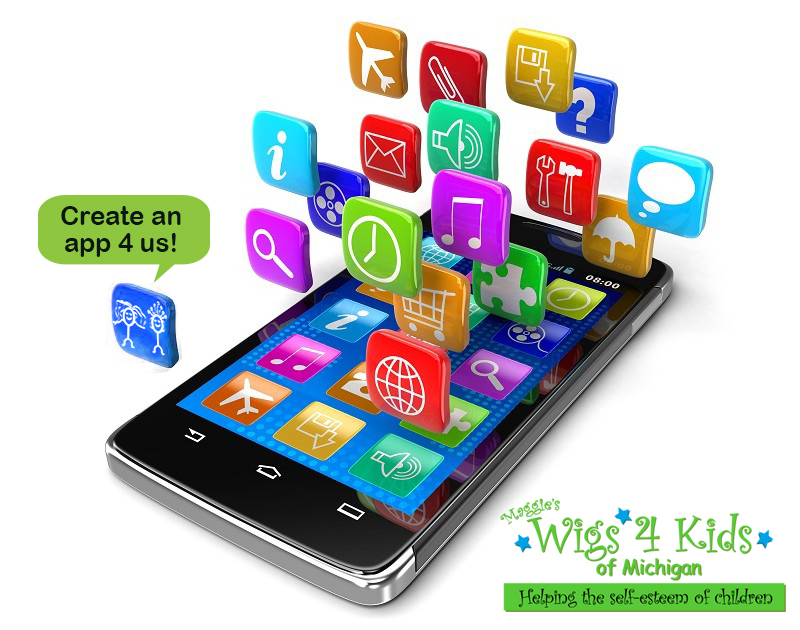 The first of the year is approaching... if you're available to take on this project in 2019, please forward your resume to maggie@wigs4kids.org or call 586-772-6656 to speak with our Founder & CEO Maggie Varney. You will receive a tax receipt for your generosity!